July 2014 - Landman Realty LLC Real Estate Newsletter. Have a fun and safe 4th of July Weekend celebrating 238 years of Independence. Currently #3 Help us get back to #1 by Clicking on the Total Real Estate Solutions icon to vote! 3 Bedroom, 2 Bath home with fireplace, Stove, Microwave, Dishwasher, a 2 car attached and a 1 car detached garage. Property has a fenced in backyard, garden fruit trees & lots of landscaping. 5+ acres with Home $144,900. OR 15+ acres for $174,900. 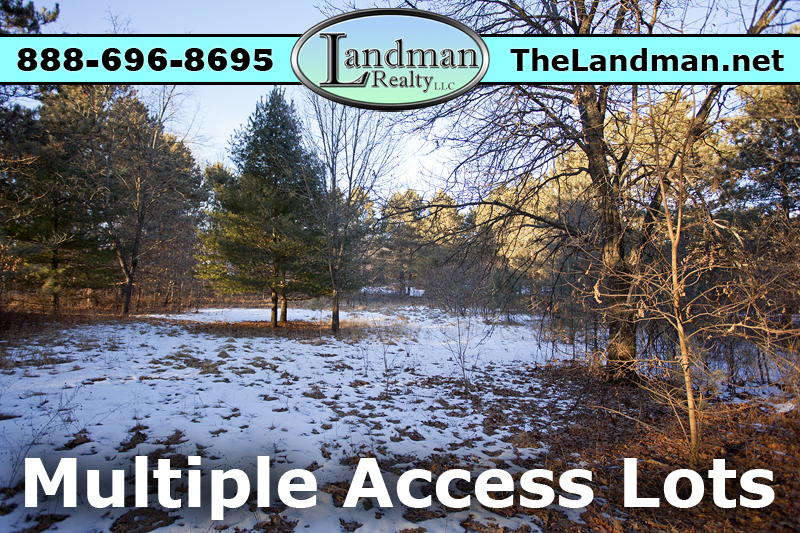 Did you know that Landman Realty LLC has a Wisconsin Real Estate Development Subdivision section on our website? So far, most of the current developments posted are in Adams County & have maps, photos, documents, descriptions & real estate. Pine Oaks Subdivision (left) Luella Woods(right). 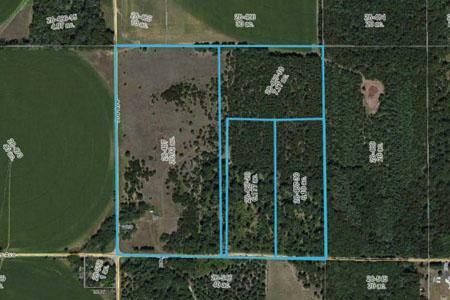 5 Acres with Well, Septic and Electric Don't miss this very affordable, partially wooded acreage that is close to all the outdoor recreation that you love! The well & septic is already here. 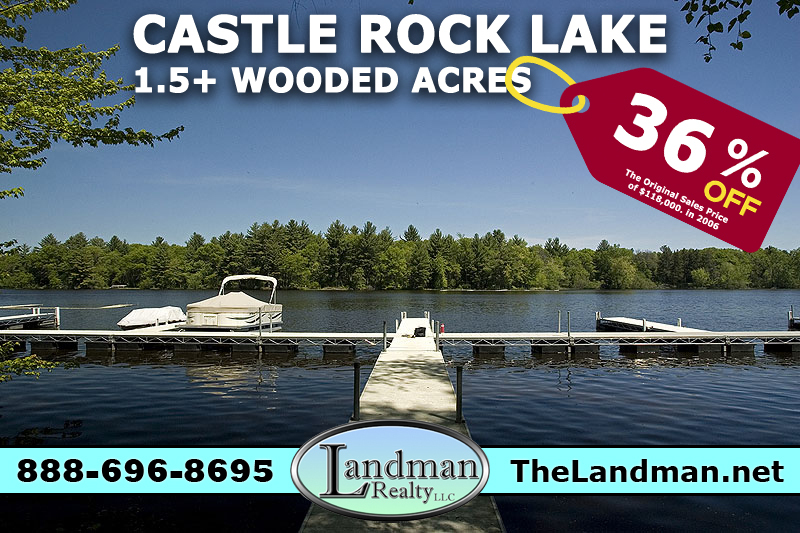 Castle Rock Lake is nearby, so bring the boat, fishing poles & the waterskis!.... NEW LISTING! PRICED TO SELL - $24,900. 20 Wooded Acres, secluded 3 Bedroom + Loft, Unique Cabin comes furnished. 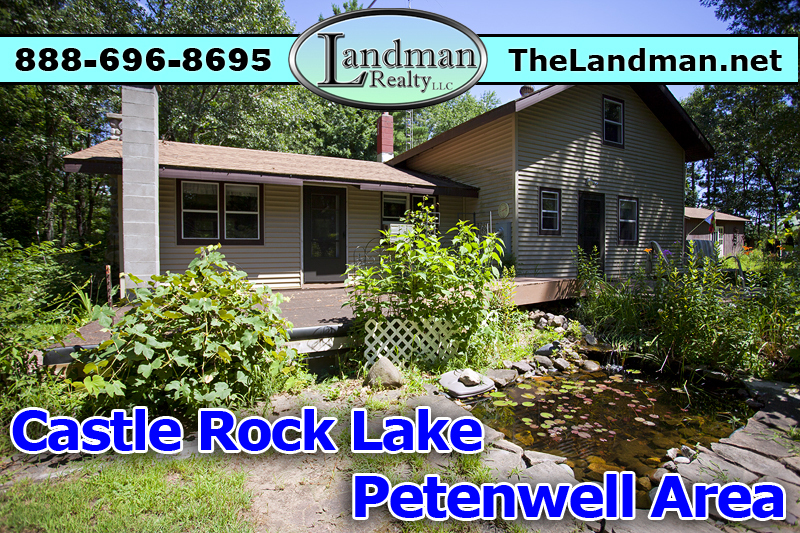 The land has a Private Pond with fish, 2 food plots, is close to Lake Petenwell, the Tri-Lakes, is on both ATV routes & snowmobile trails. Loaded with WILDLIFE! $124,900. 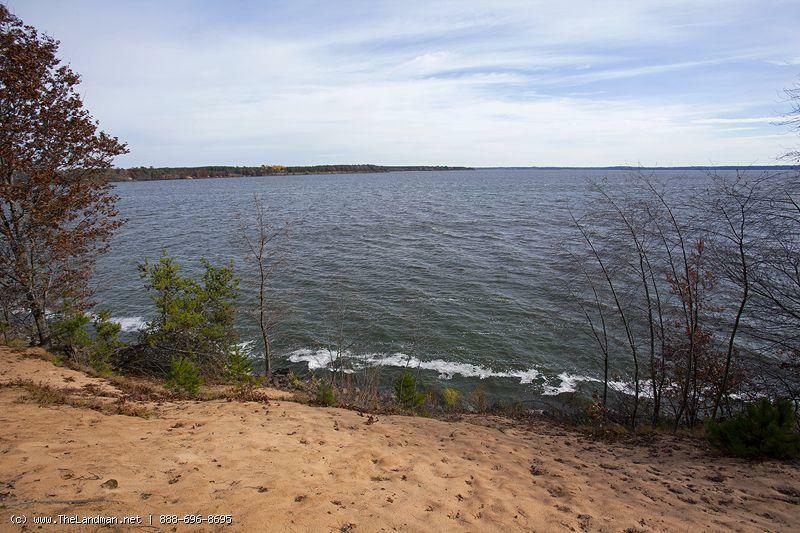 Timber Bay on Castle Rock Lake with some waterfront and deeded access lots located in Quincy Township of Adams County in Wisconsin. 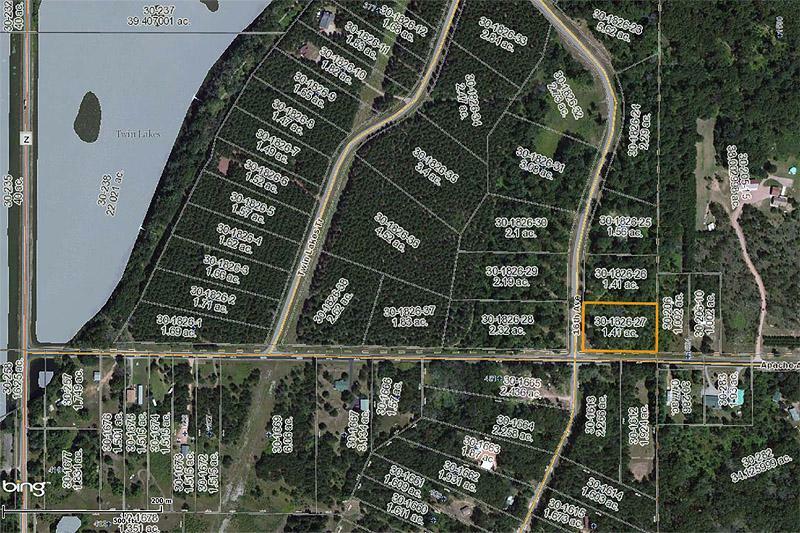 This Adams County Real Estate Development has larger waterfront lots than normal about 1.5 acres. Timber Bay is just south of Timber Shores and east of Dellwood Subdivision. On the North side of Timber Bay is the small boat access for Little-Roche-A-Cri that has a boat launch, dock, picnic pavillion & a walking bridge to a small island! This property is mostly wooded with lots of deer and turkey sign. Located just north of Big Roche-A-Cri Lake. Very private acreage is high and dry making this a great hunting retreat, a homesite for full time living or a vacation spot. Well, Septic, Electric 2,400+ feet off the road!!! PRICEDTO SELL at $94,900. POSSIBLE LAND CONTRACT! Wisconsin Turtles There are around 11 different varieties of turtles in the state of Wisconsin. Turtles have been known to be the longest living creature on the planet. Many have lived over 100 years of age. All turtles are considered cold blooded with their only heat source being the sun. The turtle species that you will see most often in Wisconsin is the painted turtle. They are the most common and can be found in or near water. The turtles of Wisconsin take up 4 of the total turtle families including mud/musk, snapping, box/water and soft shell turtles. Also check out Wisconsin Animals! 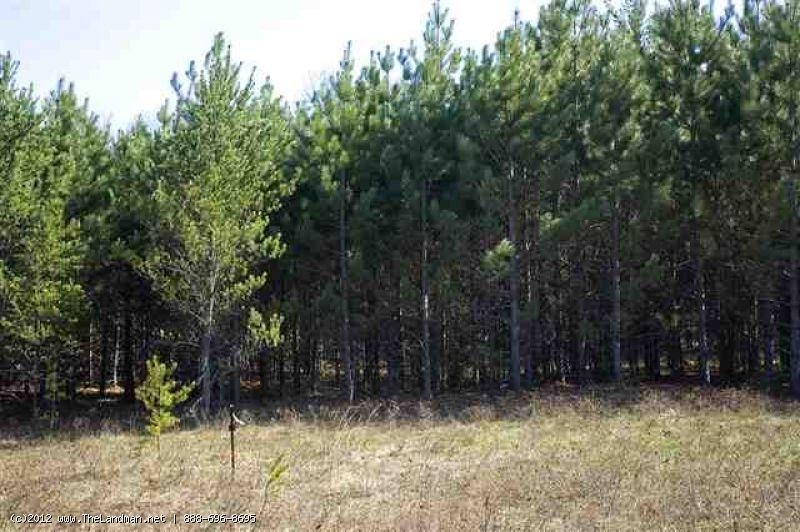 Walk to the lake from this wooded lot that is over 1/2 an acre! You will get deeded access to Lake Arrowhead with the purchase of this very affordable building-site. Carve out your dreams here! Make plans to build your get-away place here and enjoy all that the Tri-Lakes area has to offer. Swimming, fishing, boating, waterskiing, golfing & more of your favorite activities. $2,900. What is IDX? - IDX stands for Internet Data Exchange. IDX allows many different Realtors to exchange listing data on their websites via the MLS (Multiple Listing Services). TheLandman.net website IDX feed taps into WIREX (Wisconsin Real Estate Exchange) which currently consists of 7 different Multiple Listing Services including Central Wisconsin, Marinette County, Metro Milwaukee, Northeast Wisconsin, Northwestern Wisconsin, South Central Wisconsin, Superior Area and Western Wisconsin. You will absolutely love this rustic lake-side cabin that is nestled into the tall pine forest! Enjoy the gorgeous view of the water from this 3 bedroom, 2 bath home that features hardwood & tile flooring, central air, wrap around deck, 132' of lake frontage on Big Roche A Cri Lake with pier & more! 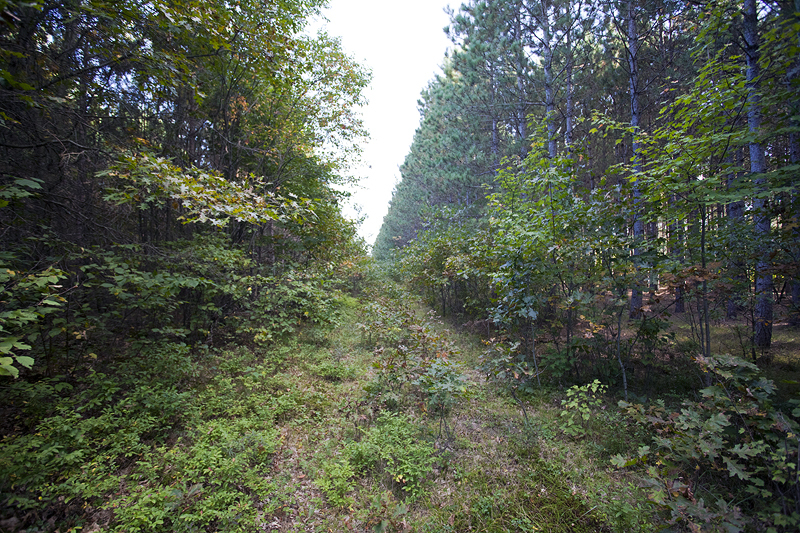 In an area of abundant wildlife, ATV Routes & Snowmobile trails. - $189,900. This diverse 40 Acres has some Oaks, Row Pine, Wild Pine, Rock Outcroppings, Trails, Meadows and lots of Wildlife. Previously divided into 4 parcels & is being sold together. PRICEDTO SELL at $140,000. Wisconsin Cabins for Sale Find Wisconsin Cabins, Vacation Cabins, Log Cabins, Lakefront Cabins, Wood Cabins for Sale and much much more. Wisconsin Cabins Search Results are limited to 250 properties so please use the [ Advance Search ] to narrow down your Wisconsin Cabins search criteria. Follow us on Pinterest, Twitter, Facebook, Google+ & Dailymotion!